Great article explaining WELL's Biophilia I credit and how it pertains to lighting. If you haven't read the full WELL Building Standard yet, I highly recommend you take a look. Reading through the 102 features of the WELL, in essence, Feature 54 Circadian Light Design relates to pattern and Dynamic & Diffuse Light. It provides the science behind the benefits of quality of light and discusses an alternate metric, Equivalent Menalopic Lux (EML), as a measurement of the effects of light on the circadian cycle. This can be seen in one of our most recent projects The Heights. 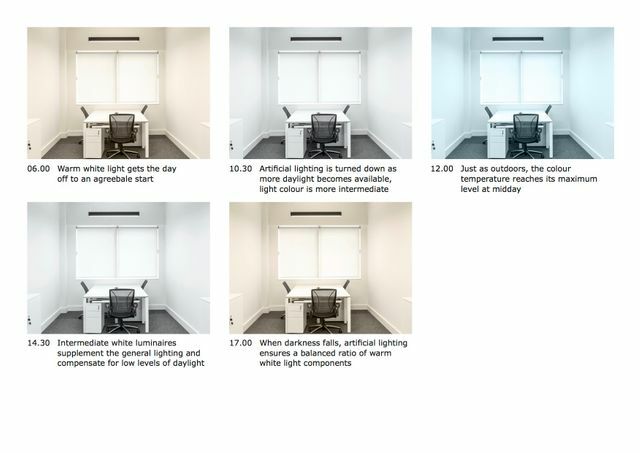 This is a perfect example of how bringing light indoors, that mimics the sun can enhance feelings of wellness and increase productivity in an office environment. WELL’s Biophilia I credit integrates the human and nature connection through building design and natural elements to promote wellness. A pedestrian-oriented paving or turf area with physical site elements that accommodate outdoor social activities The notion of biophilia, or the “love of life or living systems,” is inspired by the conscious or unconscious positive feelings nature elicits in humans. The term was not coined until German psychoanalyst and philosopher, Erich Fromm, introduced his hypothesis of biophilia in 1973, which concisely describes humans’ innate connection to nature. Through the understanding that being close to nature has a positive effect on human health, numerous strategies have since come into existence that allow for the incorporation of nature into urban hardscapes. One of these strategies can be found in the WELL Building Standard, a new building certification system that focuses on human health.